Former Tamil Nadu chief minister O. Panneerselvam on 19 May said that his faction has submitted an affidavit to the Election Commission, citing that huge amounts of money was used to buy votes at the time of by-polls in the state. "We have submitted an affidavit to EC, informed EC about vote for cash incident, Rs. 89 cr transactions done during the time (by-poll). W have also indicated that according to the rule of AIADMK Sasikala's appointment is invalid. 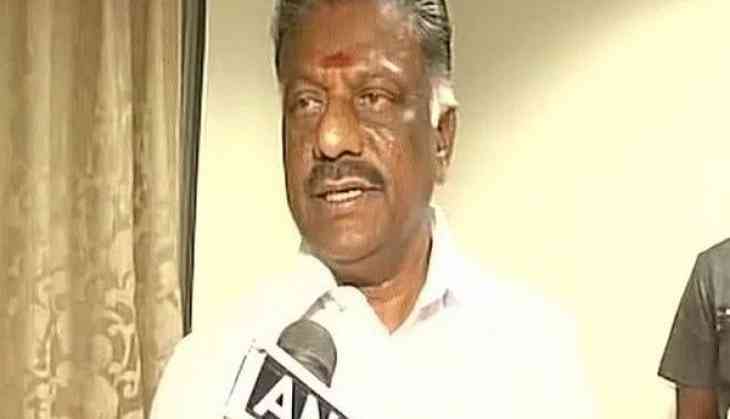 It is only me who can execute the responsibilities in the party," said Panneerselvam. Last month, Panneerselvam had filed a petition with the Election Commission urging it to declare Sasikala's appointment as general secretary of AIADMK as illegal. "During the election campaigning in R.K. Nagar many malpractices were done and Rs. 4000 were offered to each voter. We have submitted all this to the Election Commission yesterday and asked to inquire into the matter," Panneerselvam said. He added that the party should not be controlled by one family and it was nothing short of treason to allow Sasikala to control party affairs. "Dinakaran was not even member of the party till Amma's demise. Judicial probe in to Jayalalithaa's death is our first demand. Sasikala's appointment as general secretary is illegal and we will not accept it. Family politics will not be accepted. Dinakaran is only tarnishing the image of the party and it will not be tolerated," he asserted.